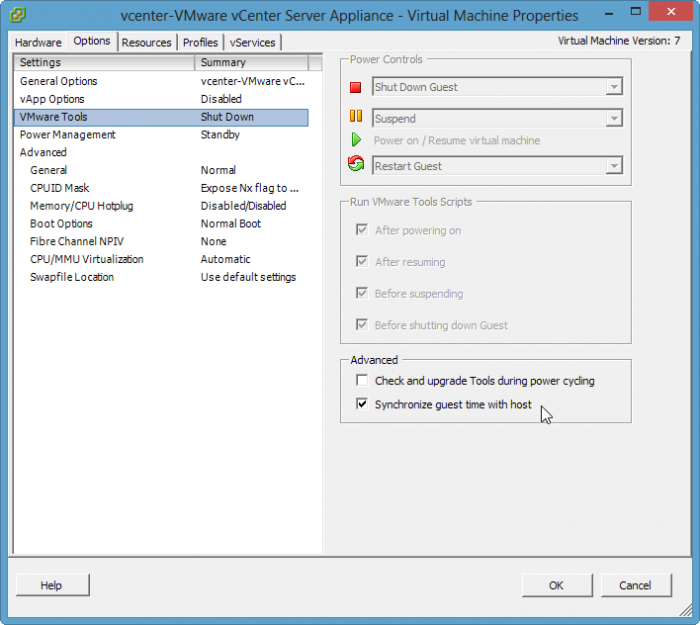 Minimum requirements for the VMware vCenter Server 5.x Appliance. 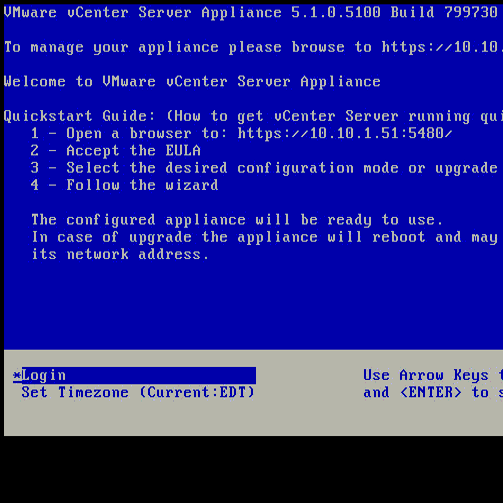 Using ESXi 5.1 Build 799731, I step-by-step walk you through the process of installing and configuring this vCenter Server Appliance 5.1, Build 799730, in the video seen below. This video will give you a good look at what's coming up, using the exact build that is expected to be the actual GA version. This vCenter Server Appliance, aka, VCSA has also been changed and streamlined quite a bit since 5.0 Update 1, now including a simpler-to-configure database. And yes, this appliance works with the free Hypervisor, seen in the video below. So you'll likely agree once you've seen the video, deploying this has gotten even easier. Enjoy! Don't forget to set up your NTP timesync, the importance of this is explained here. I followed your video titled How to install and configure vCenter Server Appliance 5.1 on ESXi 5.1 and I'm having a problem. The vCenter Server Appliance installed fine, but when I try to add my host, I get an error that says "License not available to perform this action. The host is licensed with VMware vSphere 5 Hypervisor. The license edition of vCenter Server does not support VMware vSphere 5 Hypervisor." and it won't add my host. You said it works with the free version of ESXi, but I can't get it to work. I am running the free version of ESXi 5.1. It is not in trial mode. I entered the free license. 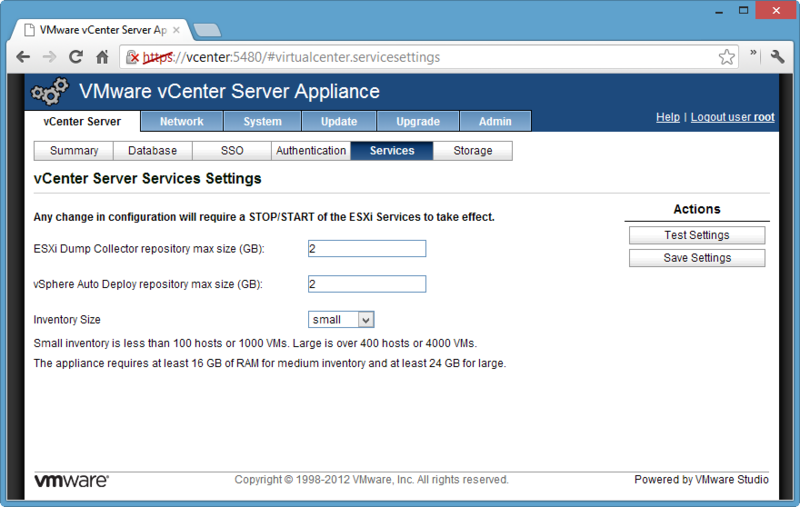 Is there a way to get the vCenter Server Appliance to work with this? If so, is there a free license for it or will it only work for 60 days? By the way, I love your videos and you are excellent at explaining everything. I look forward to more. I've investigated a bit further and it seems as though you can't use vCenter with the free ESXi. Someone suggested that it works during the 60-day trial because you may still purchase a license, but once you enter the free license, it stops working. I confirmed this behavior on my 60 day trial ESXi 5.1 Update 1 test lab that I created for recent public presentations, running the vCenter Appliance 5.1 Update 1 with it. So this is a very important consideration for those constructing home labs. If you have a VMware enterprise rep through your workplace, pursuing a 365 day trial is likely considerably more practical than reinstalling ESXi/vCenter every 60 days, reconfiguring, then reimporting VMs. But frankly, for single ESXi hosts, that's not that big a deal either, usually about 2-3 hours of work.